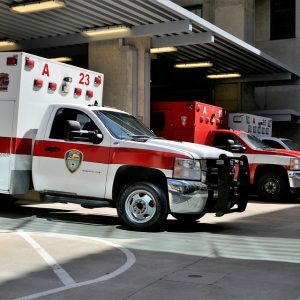 Lake Buchanan Dam, TX (March 29, 2019) – The Texas Department of Public Safety responded to an accident around 11:30 a.m. on SH 261. According to DPS, the incident involved a 64-year-old, James Von Krosigk, who was riding southbound on SH 261 when another vehicle came out of a driveway and entered into his path. Krosigk swerved his vehicle to avoid hitting the vehicle, but the collision was unavoidable. Krosigk and the vehicle collided, which caused Krosigk to be ejected. Krosigk was pronounced dead at the scene of the incident. The driver of the other vehicle was transported to a hospital in Llano for medical treatment to injuries sustained in the collision. Our warmest condolences go out to the Krosigk family as they deal with their tragic loss. We hope the injured victim is able to make a fast and full recovery. Across the United States, between 200 and 300 victims lose their lives each year on ATVs. A lot of people enjoy traveling on ATVs as they are able to enjoy the fresh air and tranquil outdoors. Sadly, being involved in a motor vehicle accident while on an ATV can turn fatal instantly. When victims are killed in ATV accidents, they often leave behind grieving families who are left to deal with overwhelming financial burdens resulting from unexpected funerals and burials. Surviving family members are able to contact a wrongful death attorney in Texas to file a lawsuit to obtain compensation to cover many of the financial burdens incurred as the result of these horrific accidents. Our knowledgeable Texas accident injury attorneys from the Benton Law Firm have extensive experience helping accident victims and surviving family members obtain millions of dollars in compensation for their claims against at-fault drivers. If your loved one lost their life due to the negligent or reckless acts of another person, contact our law firm at (214) 219-4878 to speak with an aggressive accident injury attorney in Texas to see what legal options are available for you.